A law firm in pursuit of professional excellence, Delev & Associates, LLC has maintained a reputation for exemplary service in the areas of Creditors' Rights, Commercial and Consumer Collections, bankruptcy, civil and business litigation. 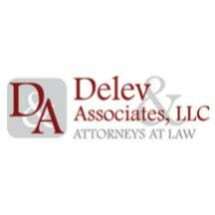 The firm was initially founded in 1996 and was renamed Delev & Associates, LLC in 2012. The firm serves clients from its offices located 10 minutes from Downtown Cincinnati. The firm provides a complete range of legal services primarily in the Credit and Collections Industry but also has a thriving bankruptcy, business and commercial litigation practice. Many of our firm's clients prefer our streamlined approach to their collection and litigation needs because the firm is a one-stop resource for our clients' needs. To that end, we strive to provide quality and cost effective legal representation by bringing together the right team and the appropriate resources. To ensure that we maintain the quality of service for which our firm has become known, we assign an attorney and an account manager or paralegal to every case. We remain available, accessible and responsive to our clients through this team approach.